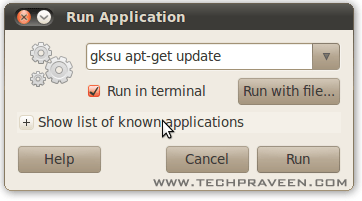 In this tutorial, I will teach you how to install the GNOME 3 desktop environment on the Ubuntu 11.04 operating system.GNOME 3 comes after five years of hard work.It brings totally redesigned user interface, a lot of hot new features, improved applications, new translations and updated documentation. 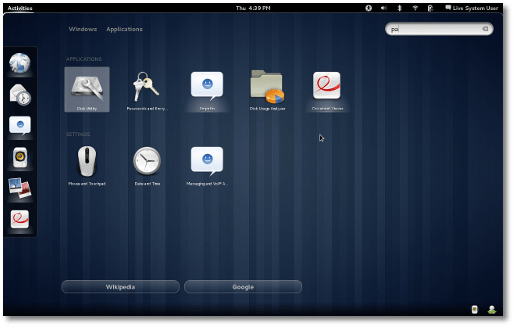 What is Gnome 3 ? GNOME 3 is the next evolution of the GNOME desktop environment, and it has been released on April 6th, 2011, on mirrors worldwide. GNOME 3 is a light desktop environment used in many popular Linux distributions, such as Ubuntu, Mandriva, PCLinuxOS, etc. Smoother and faster desktop experience. A pleasant experience for every user. The download file size is large. So, it may take long time ti install. A terminal window will open enter your password when asked. The terminal window will appear for a few seconds, and it will automatically close. As previous step enter your password when asked. A terminal window will appear for a few seconds, and it will automatically close. A terminal window will appear. Enter your password and hit Enter. When you will be asked if you want to upgrade your packages, type Y and hit Enter. The terminal window will automatically close when the installation is over. That’s it 🙂 GNOME 3 is installed on your Ubuntu machine. 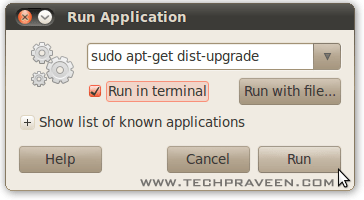 Just reboot your system and choose Ubuntu GNOME Shell Desktop at the login screen. Enjoy your new GNOME 3 desktop environment 😉 The upcoming Ubuntu 11.04 (Natty Narwhal) Linux distribution comes with GNOME 3 desktop environment. I already followed your steps, but it is not work for me. For Ubuntu 10.10, there’s only Gnome 3 stack for testing and builds on launchpad.net and it’s NOT RECOMMENDED to update. I tried the above 3 times but no success. Saw message about all index files did not load, not found so ignored or older files used. On re-booting, the Gnome 3 option was not there. What Ubuntu version you are using? It seems they don’t have a lucid repository… How did it work for you? Maybe you are using maverick, type cat /etc/lsb-release in a terminal, what do you get? Yeah you are right am using Natty realise only.I changed the post title to 11.04. If you don’t like Unity there are a plethora of different desktop environments you can use instead. I recommend KDE4 instead of Gnome Shell though.